One of the fundamental objectives of the Paediatrics department is to achieve a balance between the care to cure illnesses and the well-being of the patient which, as is understood, has unique characteristics in the case of children: The interruption of their daily life should be kept at a minimum, ensuring that their stay in hospital is the least traumatic possible, promoting the presence of the family and an environment adapted to the needs of children. 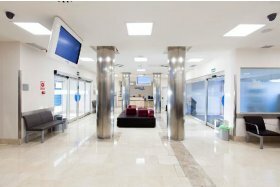 Our vision of children's hospital care is based on a modern and distinguished concept, focusing care on the outpatient area and on direct connection with the primary private care, which has excellently d an organisational structure in which the preventive aspect of care for healthy children features prominently (our own Milenium clinics). The management of children with illnesses is performed by the paediatricians working seamlessly as a team with the children admitted or who are receiving outpatient treatment. The most important values of the department are its professionals, a high quality human team, experience and the fact that it enjoys working as a team to achieve what is most valuable to the family: the health of the little ones. 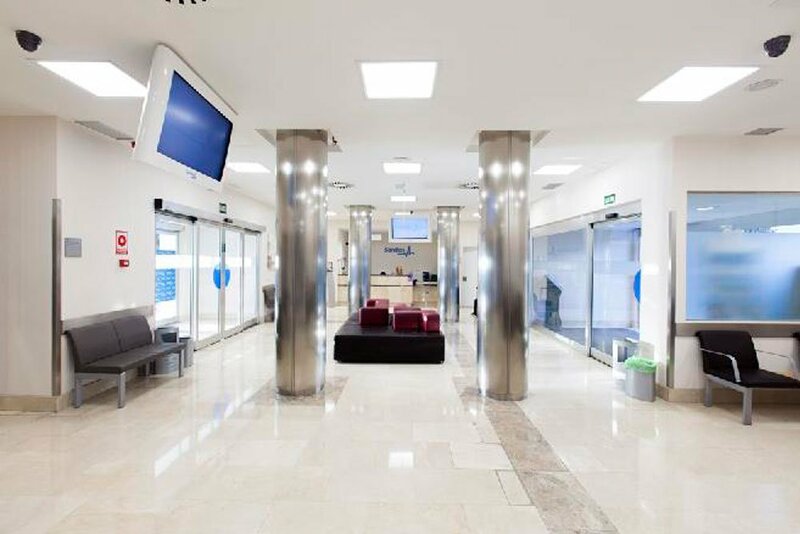 All of this is provided in a recently refurbished, bright, accessible hospital building organised to facilitate children's stay at any stage of life, from newborns to adolescents. With an obstetrics unit focusing on the well-being of both mother and child, paediatric wards with a special identity and bright and cheerful private rooms. With an A&E department decorated in a child-friendly manner and prepared to make children's stays more pleasant, reducing waiting times as far as possible. To achieve excellent paediatric care, the department adapts to all the new features and most modern technological advances (laparoscopic surgery, high-frequency oscillatory ventilation, use of inhaled nitrous oxide, hypothermia for the prevention of hypoxic-ischaemic encephalopathy, heart surgery under extracorporeal circulation, robotic neurosurgery, neurological monitoring of critical patients (brain oxygen saturation, continuous monitoring of brain , near infrared spectroscopy, brain ultrasound with colour Doppler, brain MRI with diffusion, high-resolution multi-slice CAT, continuous measurement of intracranial pressure, etc.)). All within a hospital in which all the professionals have worked tly to achieve a very prestigious accreditation in Care quality from the Joint Commission International, of which we are all very proud. 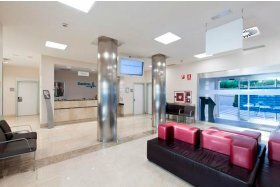 A very comprehensive portfolio of services from the preventive aspect (control of healthy children) to the most specialist services, all managed by the same paediatric team in the La Zarzuela campus. There is highly qualified care for the management of newborns, with the presence of a neonatologist 24 hours a day, both for control of normal births and instrumental births and caesareans, and for control of the newborns admitted to the Neonatology department. Maternal breastfeeding is encouraged, promoting mother-baby contact from birth and avoiding admissions to other units, making natural and early breastfeeding difficult. There is a specific nurse for healthy newborns, who controls the presence of alterations in the foetal/neonatal transition, and who offers 24-hour assistance to the mother in the feeding of and basic care for the newborn. With a computerised triage programme, electronic medical history shared with all the units, and a short-stay observation and treatment unit. The presence of the parents during all of the procedures is encouraged. Diagnostic coding. Highly specialised with management of extreme prematurity and neonatal and paediatric cardiac surgery post-operative care. It has staff highly specialised in the management of children requiring intensive care present in the unit 24 hours a day. Experts in extreme prematurity, in the management of neonatal persistent pulmonary hypertension, in cardiac surgery, neurosurgery and digestive surgery post-operative care. It has the most advanced technology in monitoring, respiratory support and thermoregulation incubation cots. Doors open 24 hours a day. Breastfeeding support. Care for premature babies focusing on neurodevelopment. For the management of all the illnesses of paediatric patients which admission to hospital, with the physical presence of a paediatric specialist and specialist nurses 24 hours a day, 365 days a year. Private Room with guest bed. Games room for admitted children. Electronic medical history. Electronic medical preion. Maternal-Child Health Plan, with many years of experience in the monitoring of children from the newborn period up to 14 years. The centre itself and the Milenium centres of the La Zarzuela campus (Las Rozas, Alcorcón) offer monitoring of healthy children in successive controls during paediatric age from a preventive approach (regular vaccinations according to the vaccination schedule of the Community of Madrid, screening for hearing and sight disorders, early detection of basic congenital disorders by means of head, abdominal and hip ultrasound) and in general paediatric control of childhood diseases. If necessary, support is provided by all the paediatric sub-specialists, with outpatient consultations and referrals within the hospital. Objectives: management of children with food allergies, drugs, environmental agents (pollen, animal epithelia, dust mites, fungi), allergic contact dermatitis, atopies or immunity alterations. Immediate skin hypersensitivity tests (prick test) to assess response to environmental and food allergens. Epicutaneous skin tests to study allergic contact dermatitis. Controlled oral challenge tests with food. Controlled challenge tests with medication. Specific immunotherapy in view of environmental allergens and hymenoptera venom allergy (including ultra-rush and cluster patterns). Basal spirometry, a bronchodilation test and exhaled nitrous oxide measurement. Objectives: diagnosis and treatment of endocrine diseases in paediatric patients. Diabetes mellitus, metabolism disorders, endocrine disorders due to hypophysis, gonadal, thyroid or adrenal pathology, and phospho-calcium metabolism disorders due to parathyroid disease. Obesity, pathological small or large stature, pubertal development disorders. In coordination with neuropaediatrics, specific control of the evolution of weight and height of patients diagnosed with ADHD who are receiving treatment for this disorder. Techniques: basal and al tests for the diagnosis of all the diseases described, education and care for patients with diabetes, brain MRI for hypothalamus-hypophysis pathology. Objectives: monitoring of asthma, bronchitis, chronic wheezing, chronic respiratory diseases, bronchopulmonary dysplasia in premature babies, lung and airway congenital malformations, cystic fibrosis. Techniques: basal spirometry, bronchodilation test, education for the management of holding chambers, aerosol therapy. Advances: Use of exhaled nitrous oxide to monitor the treatment of asthmatic patients. Objectives: postpartum management of pyelic ectasias, diagnosis of nephropathies, study and treatment of arterial hypertension, repeated urinary infections, al consequences of surgical problems. Techniques: Retrograde urethrogram, kidney Doppler ultrasound, arteriographies, intravenous urography, kidney biopsy, urodynamic studies, al tests, abdominal and pelvic CT and MRI. Advances: Outpatient blood pressure monitoring. Objectives: management of headaches, epilepsy, delayed psychomotor development, neurological monitoring of children born extremely premature, neuromuscular disorders, ataxias and vertigo. Highly specialised unit in diagnosis and treatment of patients with attention deficit and hyperactivity disorder (ADHD) in coordination with paediatric endocrinology for control of the evolution of weight and height of treated patients. 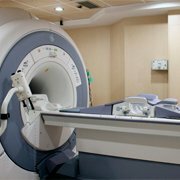 Techniques: electroencephalogram, CT, MRI, diffusion magnetic resonance, transfontanelar brain ultrasound, brain Doppler, genetics advice in syndromic disorders, neurophysiological study. Sleep records, apnoea detection, genetic study of neurological disorders. Objectives: study of malnourished patients, cystic fibrosis of the pancreas, coeliac disease, chronic diarrhoea, anorexia non-nervosa, gastroesophageal reflux, chronic inflammatory bowel disease, liver pathology. Support in the nutrition of patients with chronic diseases (children born extremely premature, heart disease, neuropathies, etc.). Techniques: 24-hour pH metry for gastroesophageal reflux, upper and lower digestive endoscopy, hydrogen breath test, continuous enteral feeding in hospital and at home, gastrostomy tubes. Objectives: the management of all children with arthralgia, back pain and coxalgia with no traumatic injury and progressive deterioration; the diagnosis and monitoring of children with juvenile idiopathic arthritis in its various manifestations; management of direct and reactive infectious t pathology; diagnosis and monitoring of children suffering from autoimmune disease such as systemic lupus erythematosus, neonatal lupus, paediatric scleroderma, Sjögren's syndrome, juvenile dermatomyositis; monitoring of Henoch–Schönlein purpura; diagnosis and monitoring of children suffering from periodic fever syndromes. Techniques: immunological study (antibodies, histocompatibility antigens, etc. ), therapeutic intraarticular injections, arthrocentesis for synovial fluid study. Articular ultrasound. Objectives: high specialisation in congenital heart disease, both in perinatal diagnosis and in subsequent medical or surgical management. Cardiologist on call 24 hours a day. Study of innocent heart murmurs, arrhythmias, control of coronary artery diseases in paediatric patients, chronic heart disease, valvular heart disease, embolisations, interventional catheterisation. Work in coordination with Paediatrics, Paediatric Cardiac Surgery and Anaesthesia, as well as with adult Cardiology for heart diseases that it. Diagnostic techniques: Transthoracic Doppler colour 2D echocardiogram, foetal Doppler echocardiogram, transoesophageal echocardiogram, electrophysiological arrhythmia study, diagnostic and interventional cardiac catheterisation, treadmill stress test, ECG and blood pressure Holter, multi-slice CT, electrophysiology laboratory. Objectives: diagnosis of diseases susceptible to surgical treatment and specialist surgery of the processes affecting the oesophagus, stomach, duodenum, small and large intestines, anorectal area, liver and gallbladder, pancreas, abdominal wall, genitourinary area, thorax and breast, larynx and trachea, mediastinum. Diaphragmatic pathology: Abdominal and thoracic trauma, congenital foregut, lung o intestinal malformations. Abdominal, thoracic and gonadal masses and tumours. Post-operative control in coordination with paediatrics. Techniques: top-level diagnostic and surgical techniques. Rigid and flexible oesophagogastrocopy and tracheal bronchoscopy, laparoscopy, thoracoscopy, thoracocentesis, thoracostomy. Vascular accesses, tumour biopsy, fine-needle aspiration, bone-marrow biopsy. Objectives: assessment, diagnosis and treatment of the different psychological disorders and alterations in the development of children and adolescents. Guidance to parents and carers. Intervention in coordination with the school context of the patient. Physical symptoms with no organic cause. Alterations in the onset and rhythm of sleep. Sphincter control and output disorders. Objectives: in coordination with paediatricians and paediatric specialists, nurses perform general specific nursing techniques, with special dedication in the management of patients with chronic and long-term illnesses. Routine immunisation: according to the vaccination schedule in force in the Community of Madrid, with vaccinations provided thereby (diphtheria, tetanus, pertussis, polio, Haemophilus influenza type B, meningococcus, hepatitis B, measles, mumps, rubella, pneumococcus, chickenpox). Updating of the vaccination schedule for patients with special situations (adopted children, interruption of schedule, risk groups, etc.). Functional tests of the different specialisms. Extraction of samples for study of metabolopathies (heel prick). Support in maternal breastfeeding consultation. Objectives: diagnosis of diseases susceptible to treatment with plastic and reconstructive surgery on all levels: labial notch and cleft palate, craniofacial syndromes, orthognathic surgery and paediatric orthodontics, pinna or eyelid malformations, congenital genitourinary, thoracic wall and hand malformations, vascular anomalies, treatment of burns and skin moles, facial fractures, cervical masses and tumours, rhinoplasty or facial paralysis. Post-operative control in coordination with paediatrics. Techniques: Fibre-optic bronchoscopy, BERA, tone audiometry, play audiometry in the Paediatric Audiology Office. Neonatal and paediatric ultrasound: Doppler, colour. High-resolution computerised axial tomography (CAT). 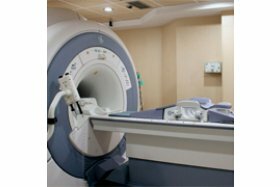 Nuclear magnetic resonance (NMR), spectroscopy, diffusion magnetic resonance. Diagnostic and interventional vascular angiography. The area of the hospital chosen for the Paediatrics department is built and structured in accordance with the rights and needs of children. Obstetrics area close to Paediatrics area. This permits the fast transfer of newborns who admission to the Neonatal Intensive Care Unit. With the new structural organisation, we have the operating theatres, labour rooms, Neonatology and Neonatal and Paediatric Intensive Care on the same floor. Following the “rooming in” model, we will attempt to promote early mother-child contact straight after birth. Additionally, we will avoid separating mother and child in the individual obstetrics room, which will be set up to perform all the techniques and tests that the newborn s (hell-prick tests, universal hearing screening, neonatal clinical examination, washing and hygiene of the newborn). The only reasons for separating the mother from the child will be medical criteria, assessing the possibility of checking the child on the ward and only if necessary, admitting it to Neonatology. A nurse is assigned to the "healthy newborn", other than the obstetrics nurse, who provides care for the newborn and is highly specialised in maternal breastfeeding in order to support the breastfeeding mother. Paediatric inpatients. Paediatrics focused on the family. Located on floor 4, with specific nursing. Private rooms. Children's play area. Neonatology/Obstetrics teamwork in the prenatal period. Meetings to discuss cases with prenatal problems. Monitoring high-risk premature children in specific Neonatology and multidisciplinary consultations (Neuropaediatrics, Nutrition, Cardiology, Pulmonology, Paediatric Psychology). Skin-to-skin contact at birth and early maternal breastfeeding. Skin-to-skin contact in caesareans except for contraindications. Neonatologist assists the newborn at the moment of birth and oversees their daily development during their hospital stay. “Rooming In”: Majority of neonatal care in the mother's room. Non-separation of mother and child. Promotion of maternal breastfeeding. Production of a Basic Care Guide for newborns (Hospital la Zarzuela-Hospital La Moraleja) to be given for free upon discharge. Support to mothers with newborns at home: Telephone contact with nurse. Monitoring of the healthy newborn in our follow-up consultations: Health problem prevention protocols. iHan accreditation, September 2014. Level 3D. participation in the creation of signs and the "Thousand Grams of Dignity" travelling exhibition, to coincide with World Prematurity Day in order to raise awareness among the population of the reality of premature births. 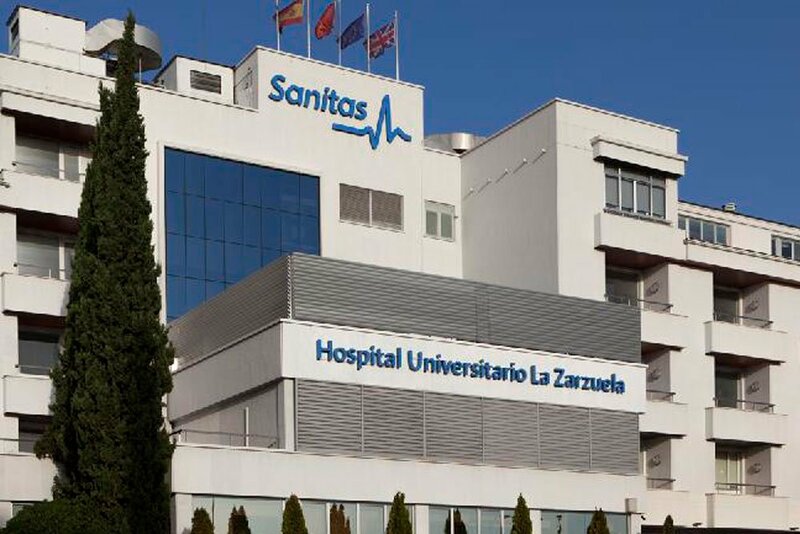 Hospital Sanitas La Zarzuela. December 2015. Multidisciplinary: Paediatric cardiologist, foetal echocardiographer, paediatric haemodinamist, paediatric heart surgeon, paediatric anaesthetist, perfusionists, paediatric and neonatal intensive care doctors, paediatric intensive care nurses, paediatric geneticist. Neonatal and paediatric surgery under extracorporeal circulation. Paediatric and neonatal cardiac haemodynamics: Diagnostic and interventional procedures. High-resolution cardiac CAT 3D image reconstruction. Multidisciplinary consultation with a focus on paediatric endocrinology and support of other specialists: Neuropaediatrician, cardiologist, nephrologist. Outpatients clinic: completion of al tests. Control of childhood obesity. Psychological and nutritionist support. Written multidisciplinary protocol. Recommendation sheets for parents. Outpatient monitoring. This is a unit made up of a paediatric neurologist, paediatric psychiatrist, paediatric neuropsychologist and a speech therapist specialising in literacy pathologies. Its objectives are: To study children with difficulties in school in order to try to find the origin of the poor school performance and give specific solutions to it. After the initial assessment, a diagnostic/therapeutic report is drafted for the parents and to be sent to the school centre, the preion of medical treatment is performed when appropriate, and personalised guidance is given to the family. 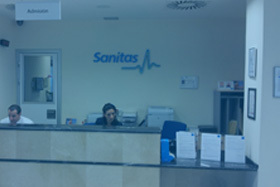 The team works tly with regular clinical sessions in which the management protocols of common pathologies as well as the individual cases of each patient are d.
Accredited by the Ministry of Health for training of resident medical interns in paediatrics and specific areas (1 resident per year in Sanitas Hospitals since 2010). Training of the medicine degree of the Universidad Francisco de Vitoria (immersion in first year, hospital experience in 5th and 6th years of medicine). Integral medical recycling programme (PRAMI). Distinguished Association of Doctors of Madrid. Workshops for parents. Free educational workshops for parents are organised regularly (10th Ed. Accident Prevention Course and CPR in children for parents). Organisation of Star al Día Courses (Sanitas Hospitals training department). Compulsory courses: Basic and advanced paediatric CPR, infection-prevention course (washing of hands), clinical research introductory course, Joint Commission Care Quality. Virtual paediatrics: On the Sanitas website, the paediatrics team offers the Virtual paediatrics service for guidance and resolution of paediatric doubts. (My Sanitas. Your doctors. Online doctors: “Ask a paediatrics question“) We undertake to respond to questions in a maximum of 3 working days. 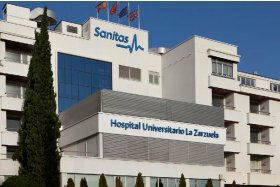 Online consultations with platform for videoconferencing: My Sanitas. Online medical consultations.) Allows review and control of patients living far away. Review of test results. Second opinion. Medication incidents record computer programme. Computerised control of waiting times in paediatric A&E: Automatic email if the waiting time increases. Annual review of protocols and care guidelines. Nador Green Corridor Project: Trips of healthcare staff to the Hospital Hassani de Nador, Morocco. In collaboration with the Fundación Adelfias. In situ training of staff in paediatrics and neonatology. Paediatrics and paediatric cardiology consultations for ion of patients to bring to and operate on in our hospital. Cardiovascular surgery and interventional catheterisation of patients in Morocco. Printing of information brochure on artificial feeding for mothers who cannot breastfeed. To recognise that children are capable of feeling pain just like adults and that, furthermore, they are capable of recognising painful experiences with the negative impacts this can have in the future. To ensuring that the area of paediatric pain is not solely directed at chronic pain, essentially paediatric cancer patients, but that it is extended to the neonatal field (both premature and full-term newborns) and to pain prevention in painful procedures, both in paediatric A6E and in paediatric and neonatal intensive care units. To recognise the importance of the psychological aspects and the environment in pain perception in children, and the existence of previous painful experiences. Review of pain protocols in different paediatric units: Pain in neonatology; pain in painful procedures; pain in A&E; chronic pain. Organised Star al Día course on Paediatric A&E, with the specific theme of paediatric analgesia in A&E. Selection of pain-detection tools in the paediatric field: Pain scales established within the medical history as another vital to be recognised by the nursing staff. Creation of some laminated outlines for nursing staff with the scales used in paediatrics. Review of first- and second-line medication for paediatric patients. Neonatology training in non-pharmacological analgesia, which is so innovative, emerging and important for premature babies (non-nutritive suckling, kangaroo technique, sucrose as analgesia, restraining techniques, etc.). Due to the increased survival of babies born extremely premature, biomedical research has designed specific technology adapted to neonatal care in neonatal intensive care units. In recent year, these units have become very technological and somewhat de-humanised rooms. When children are born prematurely, it is essential to change the maternal womb for a highly developed incubator; the feeding normally provided through the placenta is administered by an intravenous channel; the oxygenation which was also through the placenta must be performed through immature lungs with an artificial respiration system; children are subject to stimuli that they never receive in this manner within the womb (artificial light, elevated noise, painful procedures, forces of gravity as they are not an the liquid environment of the amniotic sac, etc.). It has been noted that all of these interventions can affect the future neurodevelopment of children. Therefore, some years ago now, our Neonatology Unit implemented Development-Focused Care, consisting of humanising and personalising care for premature babies, enabling parents to assist in the management of their children (with free access to the unit), performing the kangaroo technique (even with 1 kg babies, the mums and dads can establish skin-to-skin contact), reducing light aggressions (with special blankets in the incubators), with special management of the premature baby and their posture, and pain control, above all. Paediatricians are trained to recognise the importance of collaboration between the patients, their families and the healthcare professionals; to understand the importance of different cultures, traditions and languages of the family of which the patient is part with the help of the patient care services, in order to promote the dignity, comfort and autonomy of the patient. In the paediatric ward, the 24-hour accompaniment of the child in a private room with a bed for the person staying with them is permitted and encouraged. In A&E, the presence of the family during all the techniques and procedures performed on patients is encouraged in order to avoid anxiety and fear of separation from their family. Pioneers in compassionate treatment with intrathecal beta hydroxypropyl cyclodextrin for patients with Niemann–Pick disease. Adaptation of the Protocol of Dr C. Hastings, from the USA. Collaboration with the University of Oxford in control of patients treated cyclodextrin to assess the circulating lymphocytes with lysotracker. First patient with neonatal Niemann–Pick disease to receive this treatment in Europe. Collaboration with the Listening Circle CTD Holdings to give information and support to patients with Niemann–Pick. Clinical data are sent and results of patients treated with cyclodextrin are shared. Collaboration with the Universidad de Murcia for measurement of cyclodextrin levels in urine and CSF in patients receiving treatment for Niemann–Pick disease.